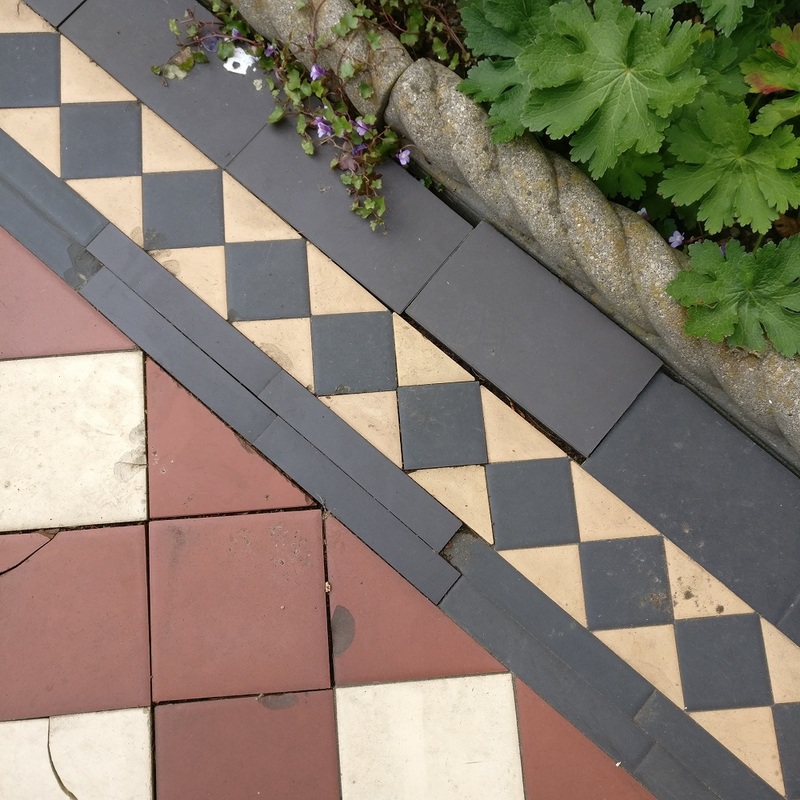 As you can see this Clay Tiled Pathway laid during the Edwardian period at the front of a house in Barnet, North London had suffered over the years and now had many broken and cracked tiles along the path. 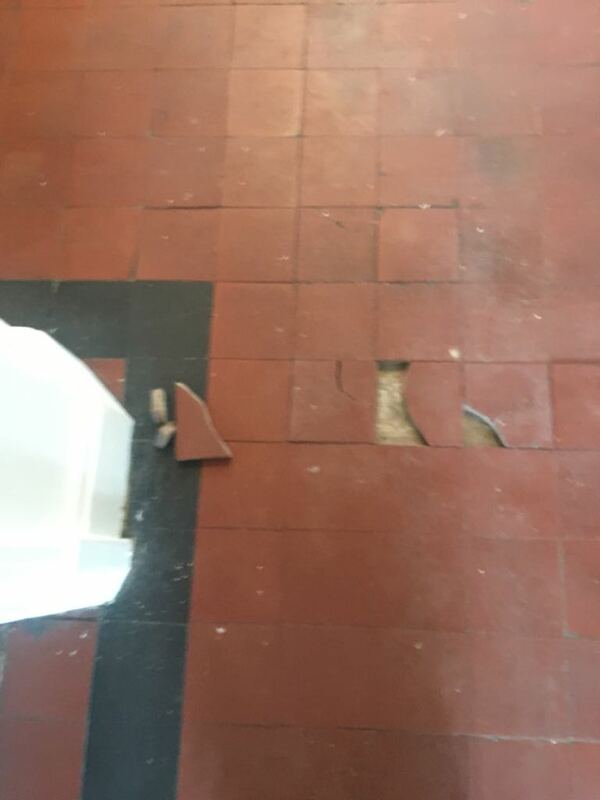 The concrete foundation had seen some movement in the past leading to a crack forming right across which had either cracked the tile or caused them to become loose. 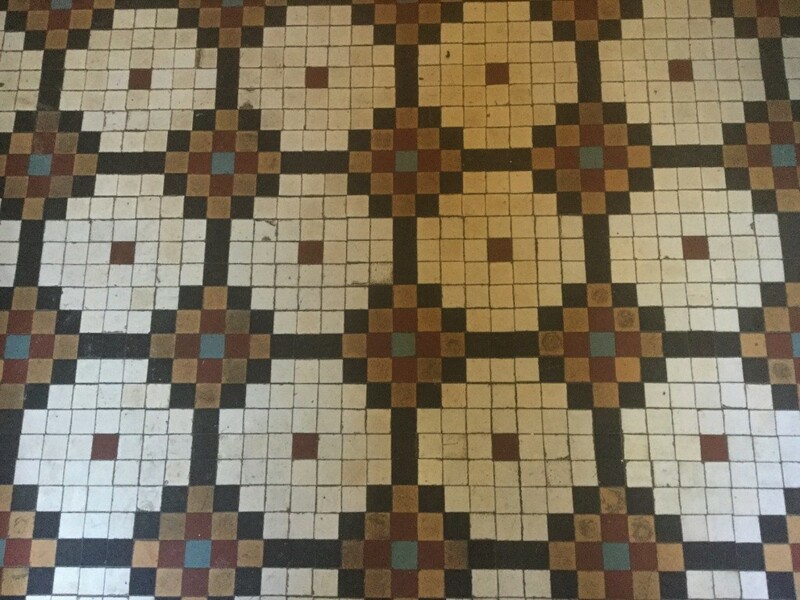 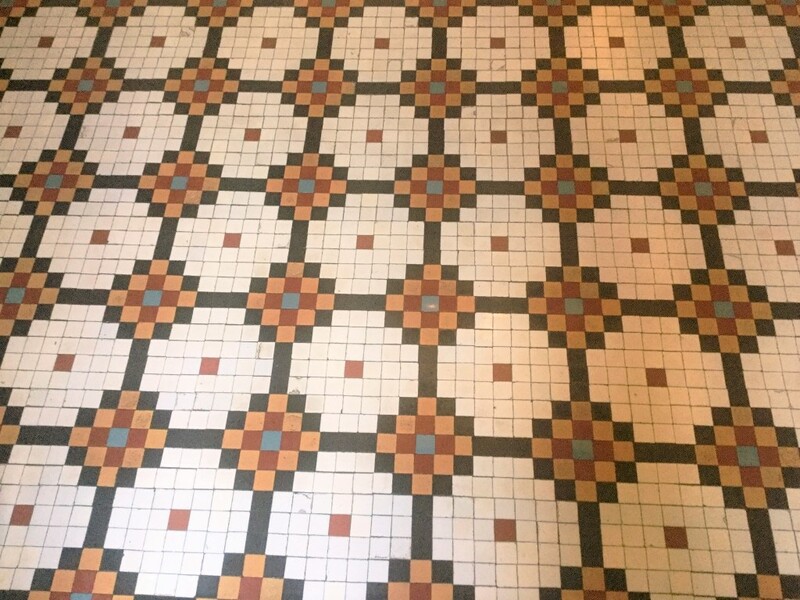 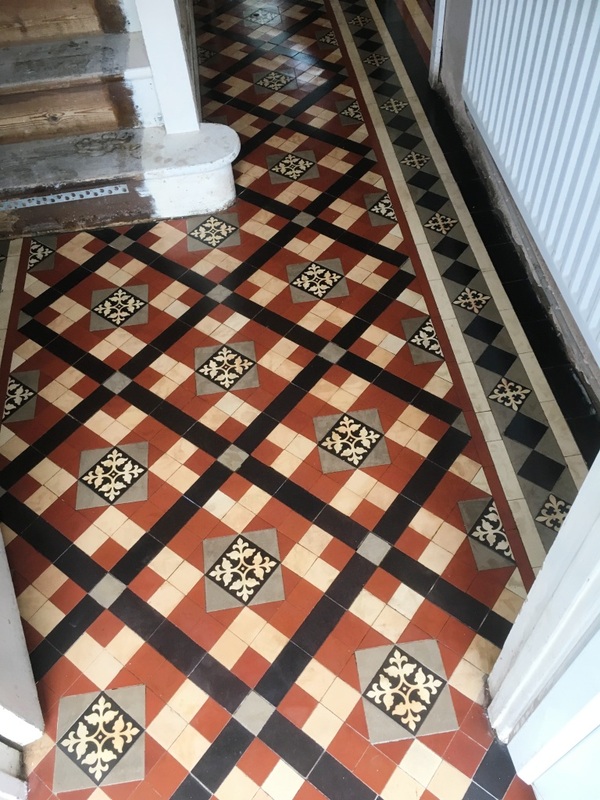 To restore the path to its original condition would require removing all the broken and loose tiles and then relaying with matching replacements and grout giving particular attention to the detailed edging pattern. 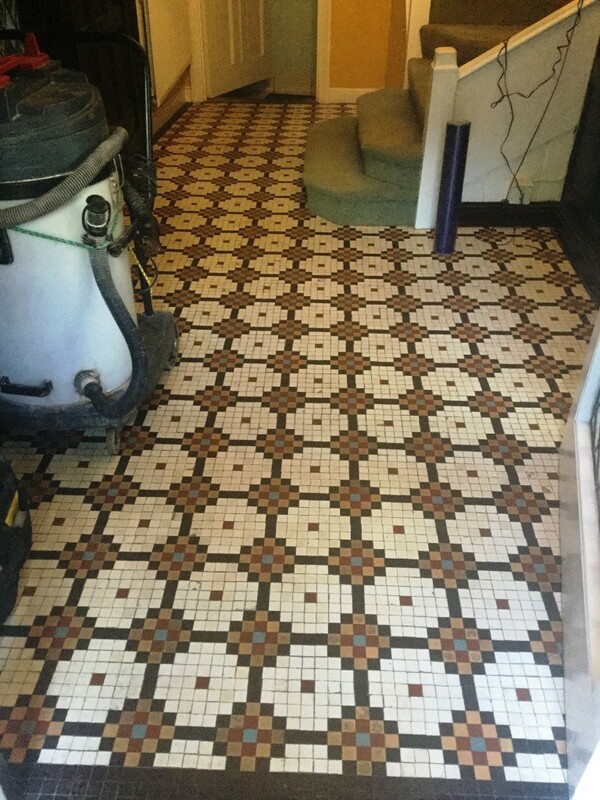 Fortunately, having done a few of these jobs before I have learned where to find replacements and often keep an eye on salvage yards and ebay. 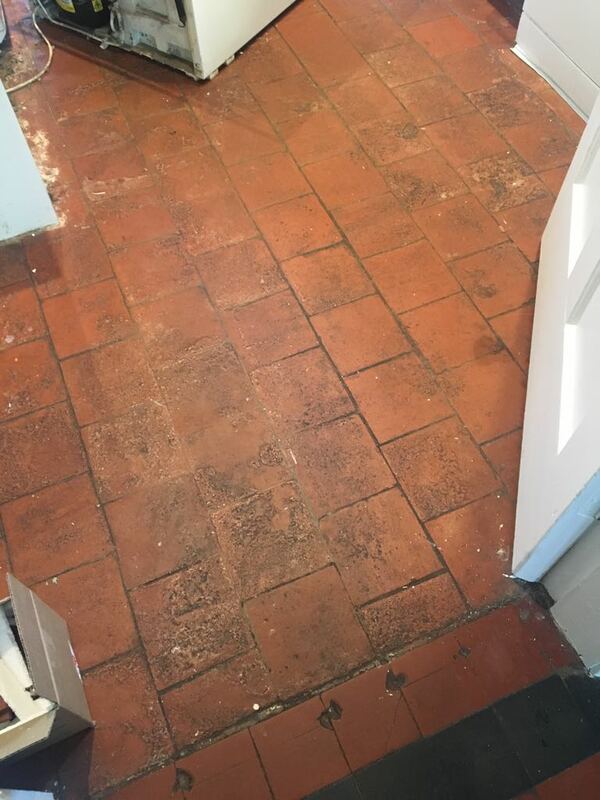 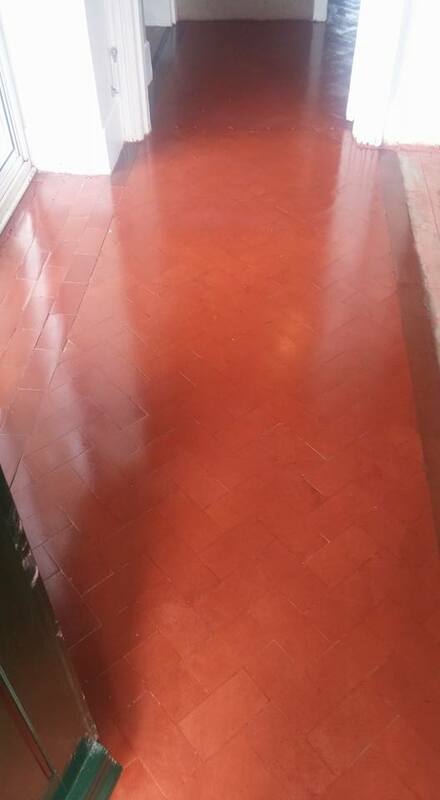 The first job was to remove ingrained dirt and old coatings by applying a strong dilution of Tile Doctor Remove & Go across the entire length of the pathway. 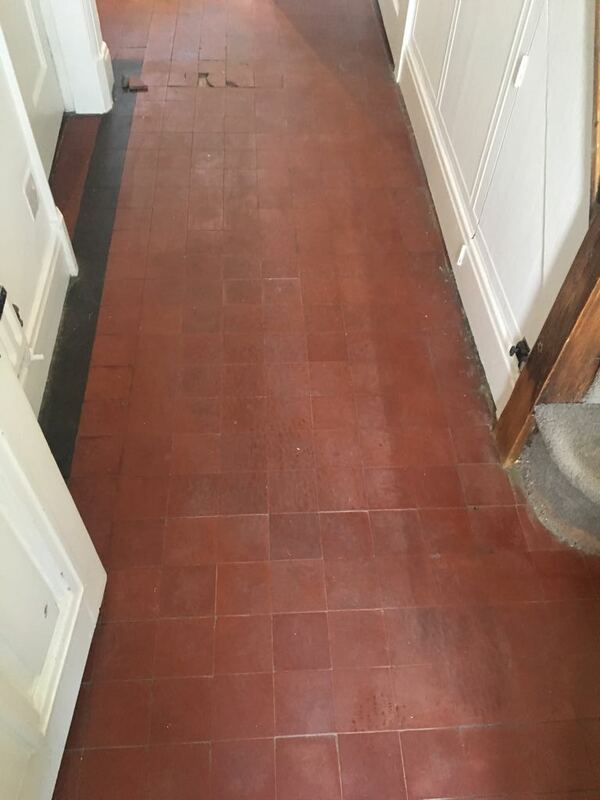 Remove and Go as its name suggests breaks down and strips off the old sealers as well as dislodging ingrained dirt. 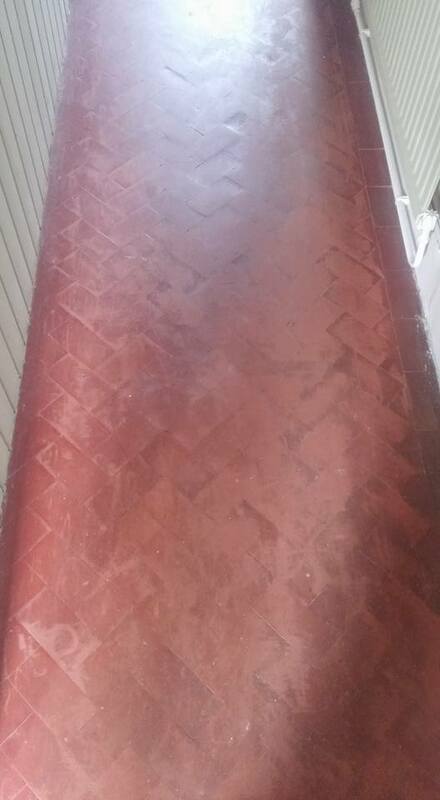 It was scrubbed in and then rinsed off with water and extracted using a wet vacuum. 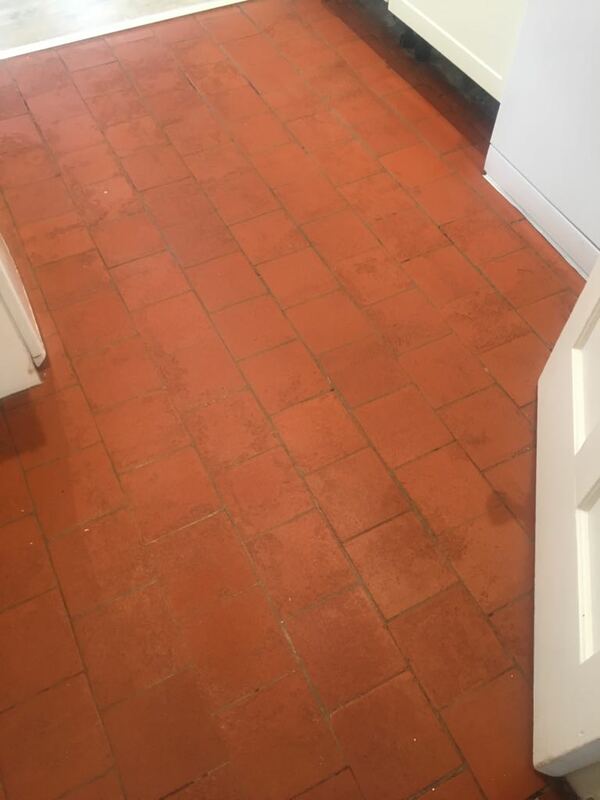 Next some of the tiles which had experienced particularly stubborn staining were given an Acid Wash using Tile Doctor Acid Gel which removes old grout smears and mineral salts deposits which is often referred to as efflorescence. 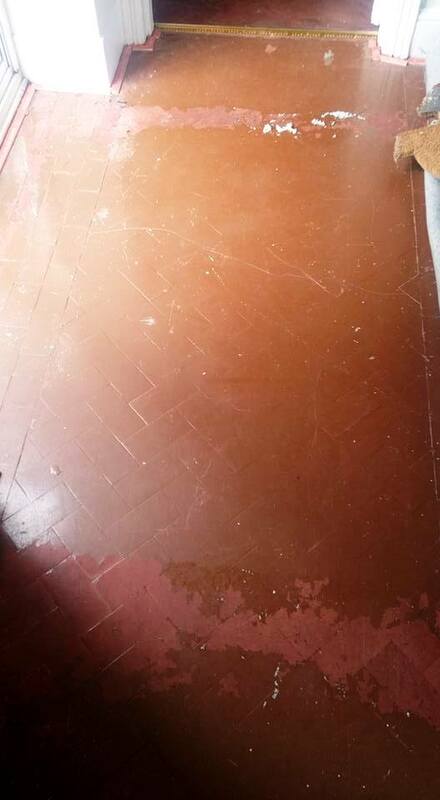 Acid Gel neutralises the alkaline salts and once scrubbed in it was removed using the wet vacuum. 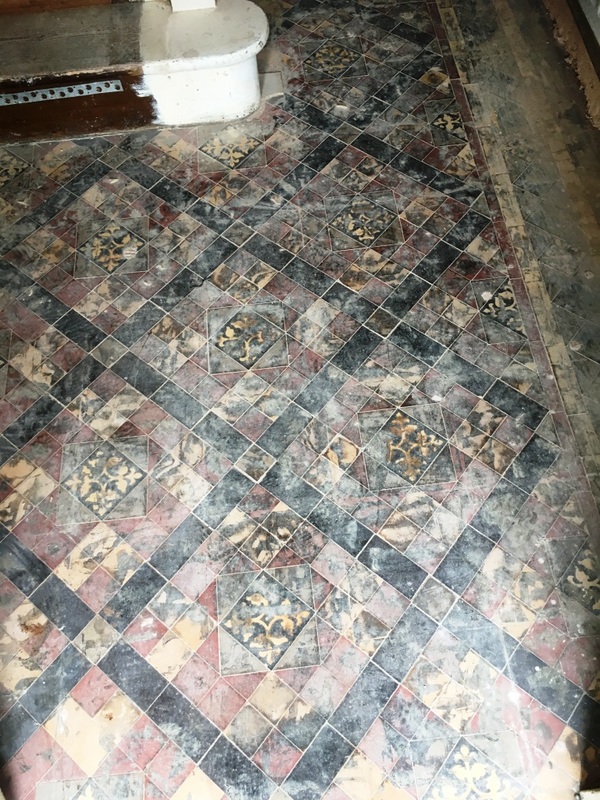 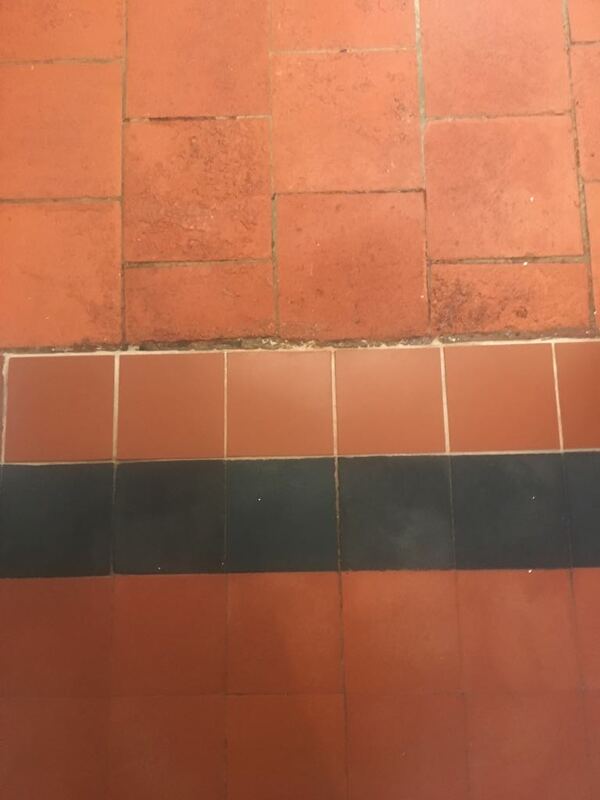 Once the dirt and efflorescence had been dealt with, I focused my attention towards the tile repairs starting with the removal of the broken and loose tiles so I could get at the cracked sub-base and repair it. 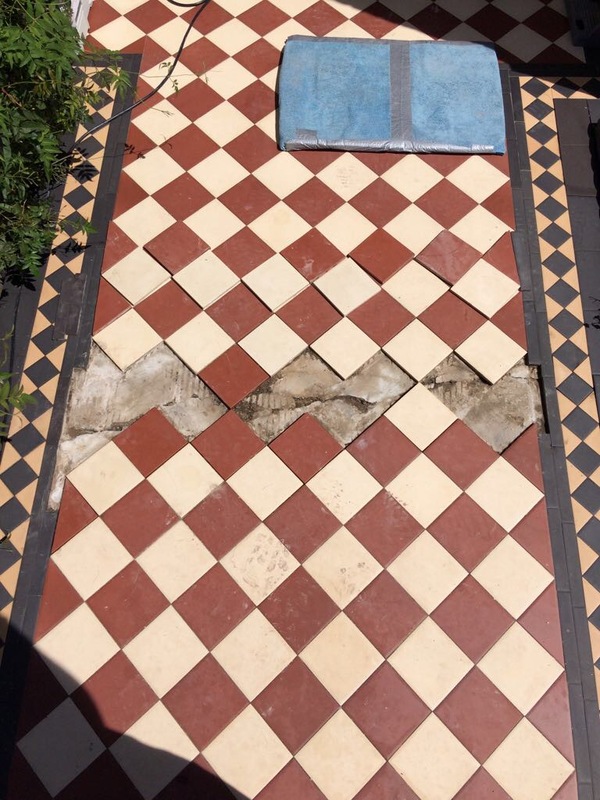 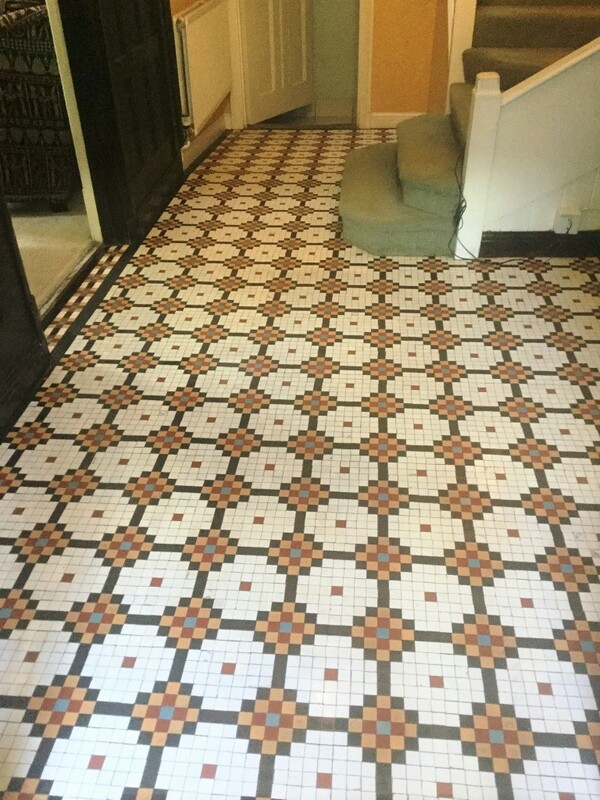 Once the repair had hardened I was able to relay the path using a mixture of exiting and replacement tiles taking care to match the original pattern. 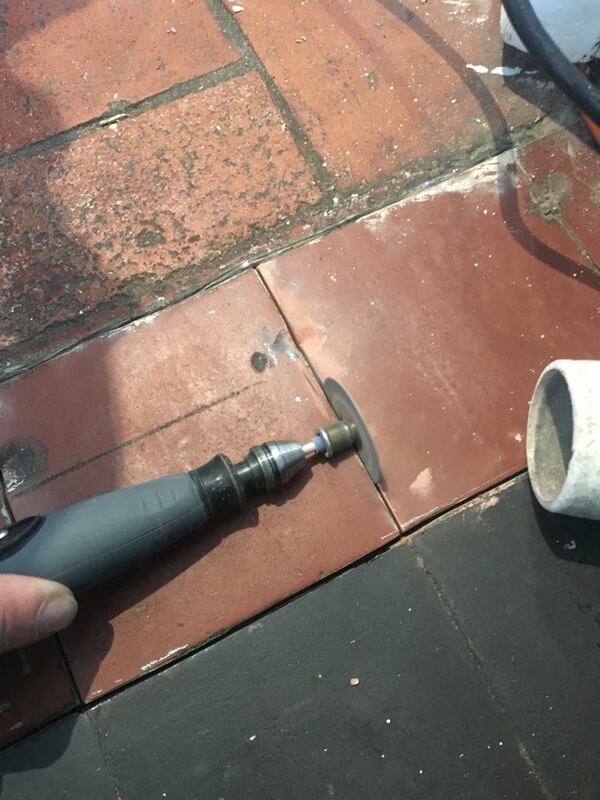 Before leaving for the day the tile adhesive had gone off and I was able to grout them in using a matching grout. 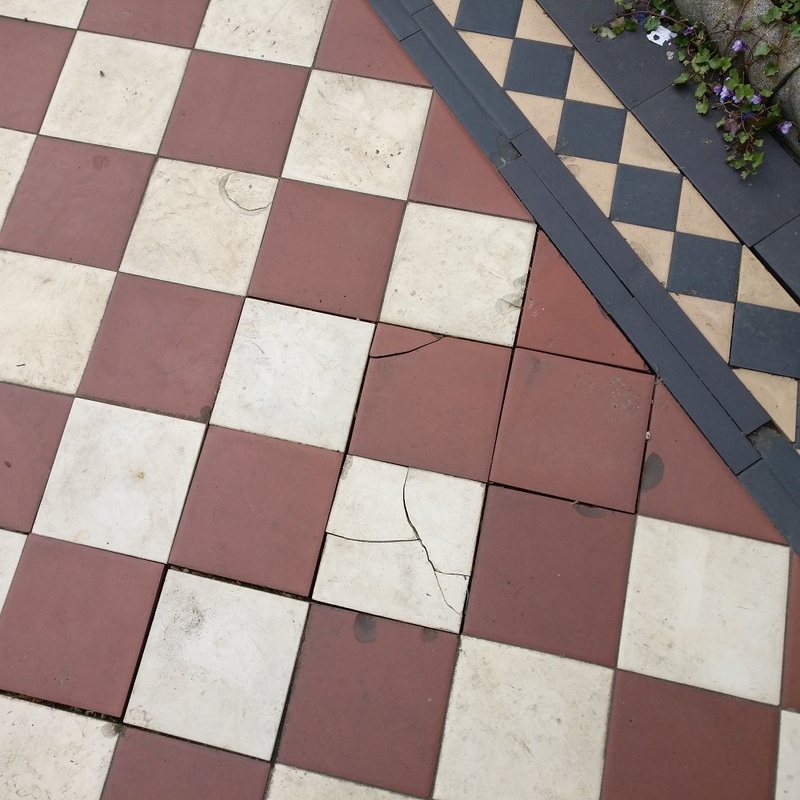 I had also checked the weather forecast to ensure no rain was forecast that evening. 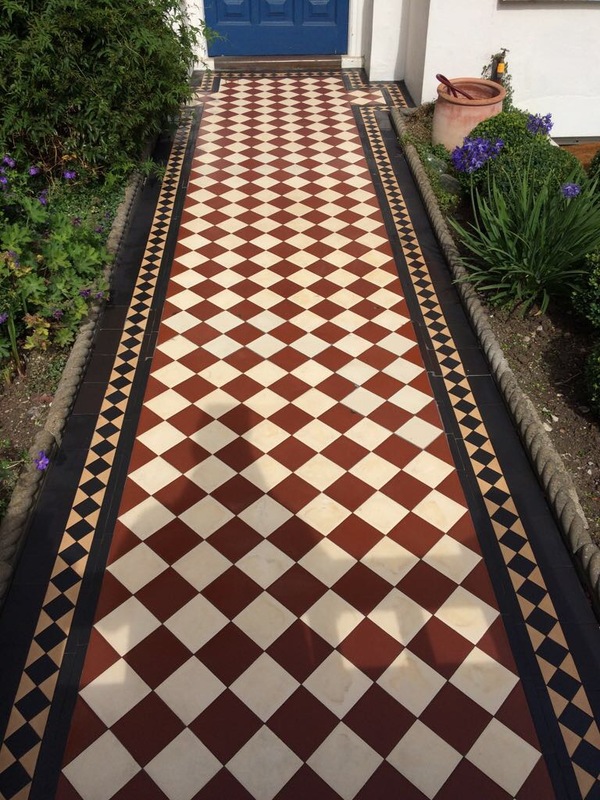 The weather held and the following day with a freshly cleaned and repaired path I was able to finish the job by applying two coats of Tile Doctor Colour Grow which really brings out the natural colours in the clay tile. 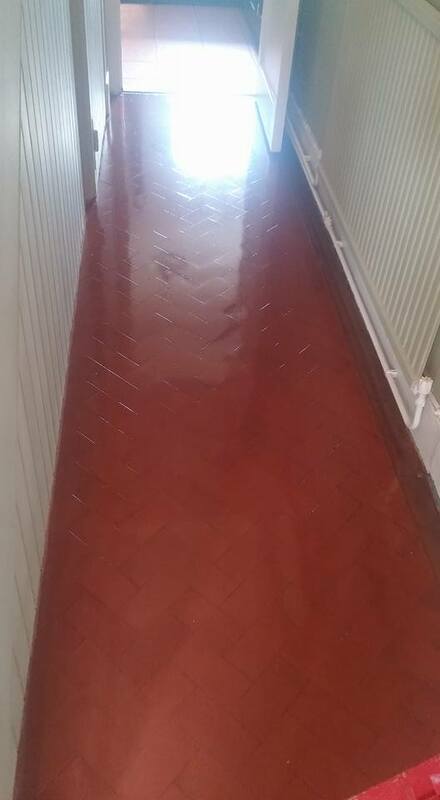 Once the sealer had dried I ran a white buffing pad over the path to give it that final finish before showing it to the owner of the property who I’m happy to report was extremely pleased with the result. 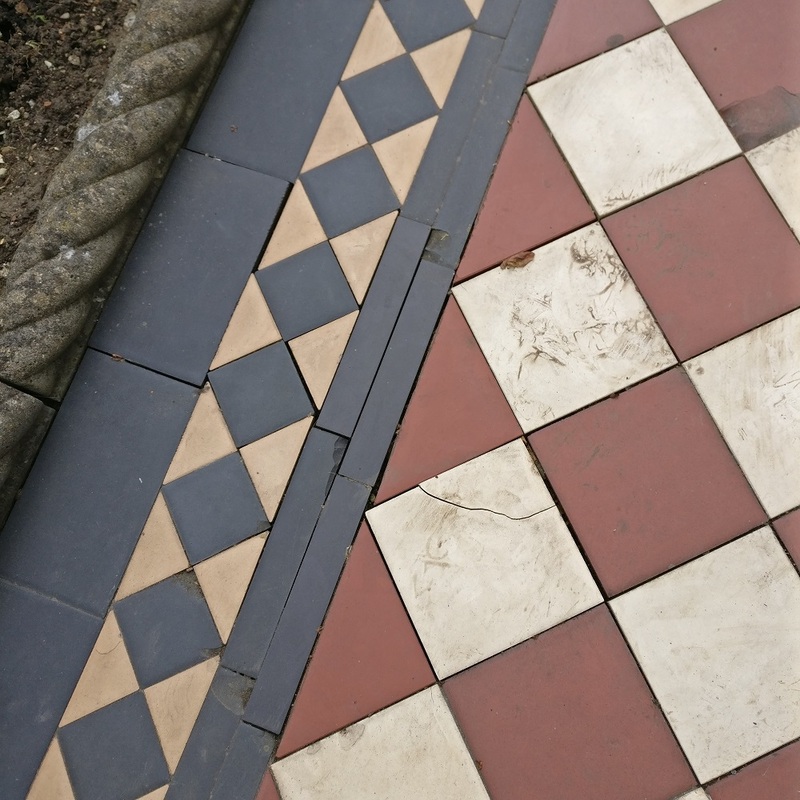 I should mention that when choosing a Sealer for an external application it’s important to choose one which is fully breathable and can cope with the wet conditions.